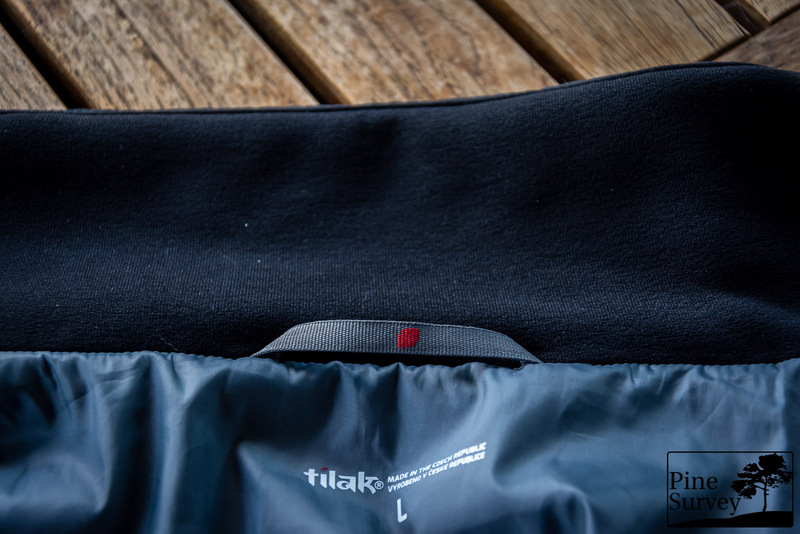 Tilak is one of my favorite technical apparel companies since I was introduced to them in 2015 and got one of their jackets the same year: the Tilak Loke (you can read about it here). 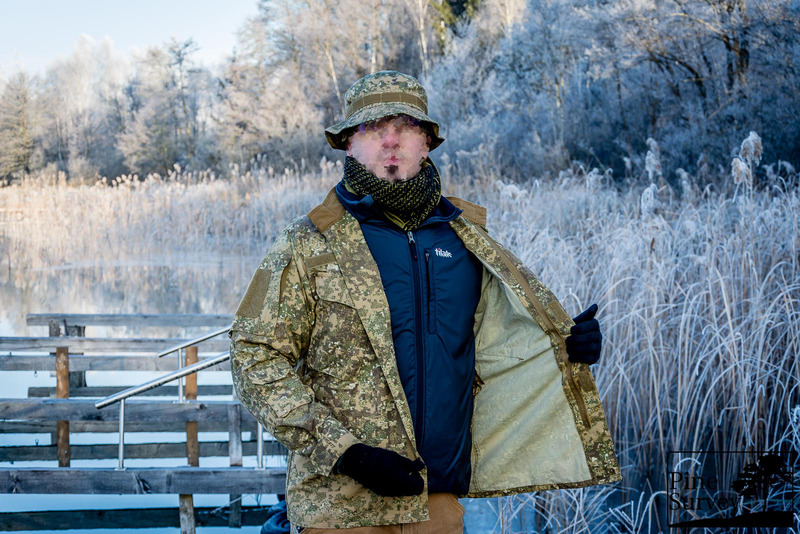 Since the Loke is not lined, I was never able to use it through the colder seasons – which I always regarded as a shame, but given the fact I have plenty of warm jackets, I never thought too long about it. 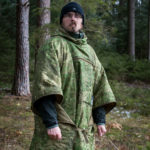 In the last few months I started to wear smocks and other similar, non insulated jackets more often – combining them with fleece and wool layers. 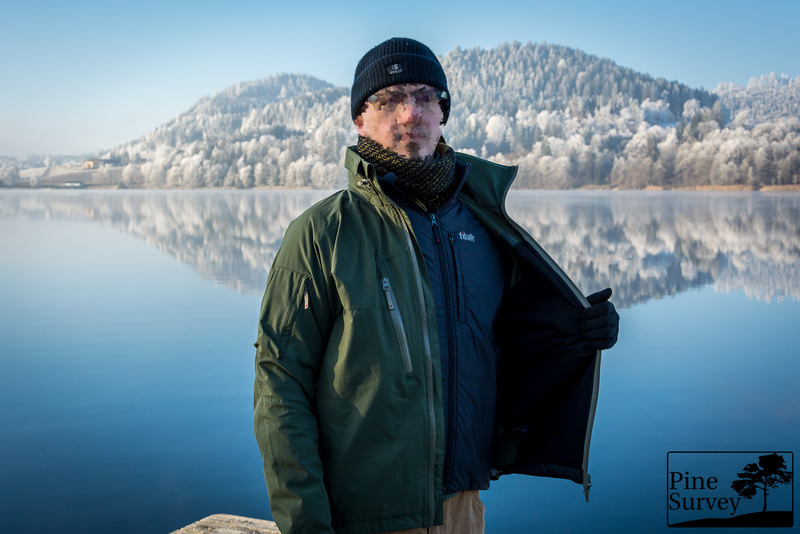 Since I never really used midlayer jackets with materials like primaloft, g-loft or polartec alpha before, I wanted to give it a try and started searching. 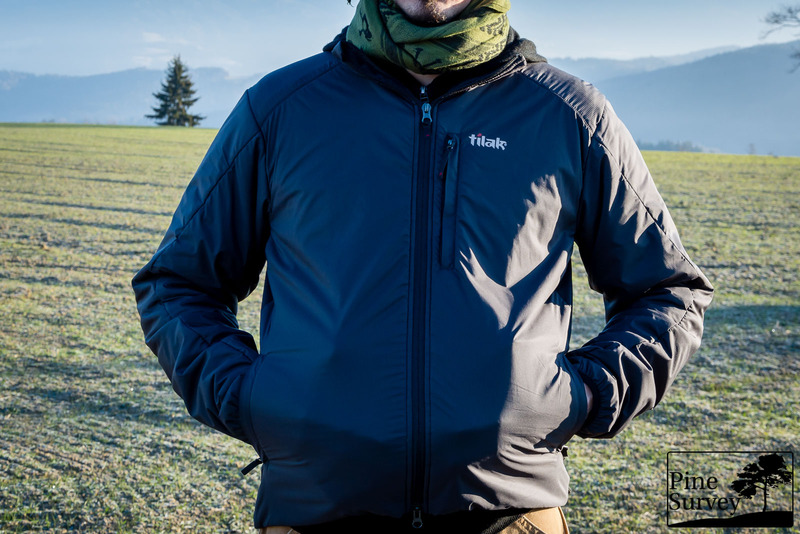 The Verso is designed as a multi-purpose, insulated jacket, which is using Polartec Alpha fabric for insulation and a hybrid design for high levels of breathability. 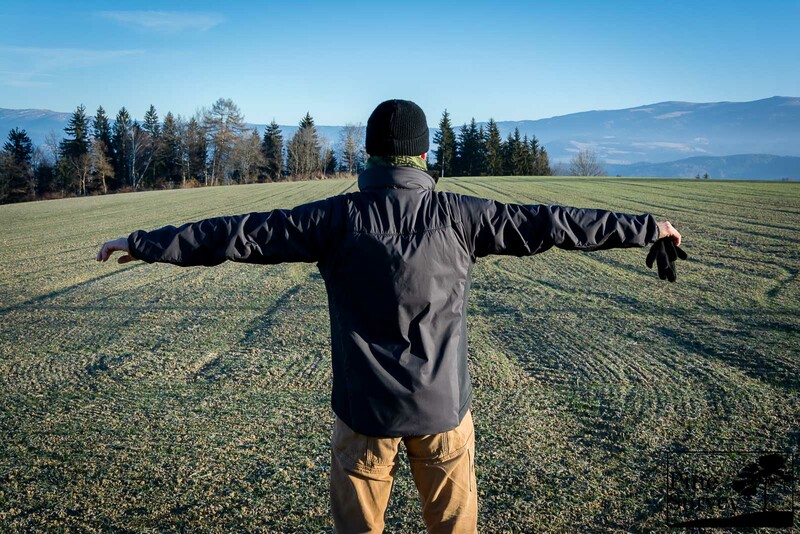 It is compressible to a small packing size and can be worn as a stand alone jacket or a midlayer, for cold weather applications. 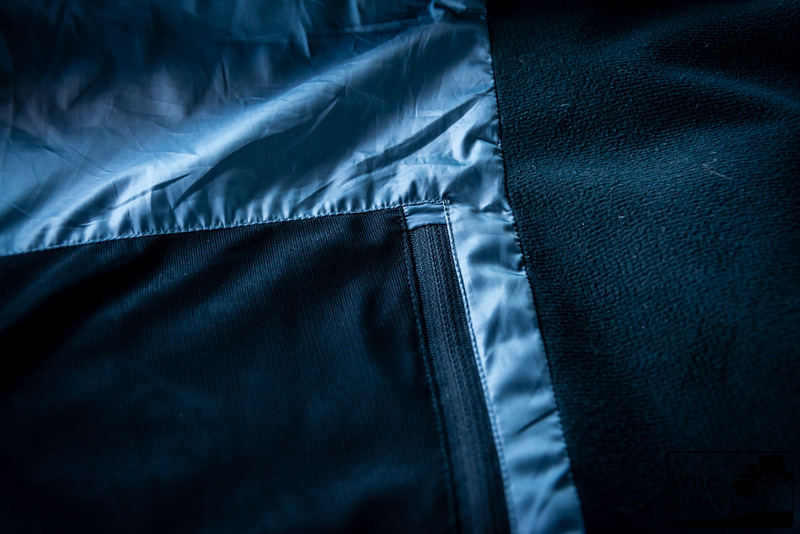 It features (officially) three outer pockets and one inner pocket, as well as an inner mesh pocket on the backside for self-packing the jacket. The design of the jacket is simple, yet thought through. It is a streamlined design with the thought of multi-purpose applications in mind, therefore it is lightweight and not bulky in its setup. The Verso features three outer pockets. 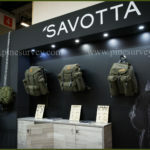 You will find one “Napoleon” style pocket on the left chest, without any kind of loops, slots, or other organisational features (which would just create bulk). The other two pockets are situated left and right on the belly, are slightly bigger in size and have no internal features as well. 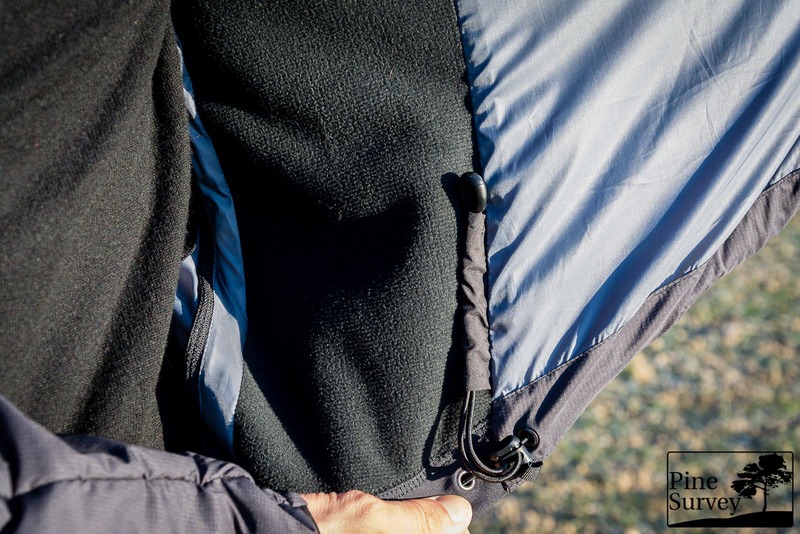 All the zippers of the outer pockets are hidden under a flap, which results in a clean design of the jacket. The front zipper features a wind flap on the inside, as well as a chin guard on top. Additionally there is webbing attached on the wind flap, directly under the zipper to avoid abrasion from opening/closing the jacket (very nice detail, I almost overlooked). The inner pocket is on the right side of the chest and features the same characteristics as the outer chest pocket. Being situated on the inside and close to the front zipper, it has stealthy characteristics, if you are in need of those. 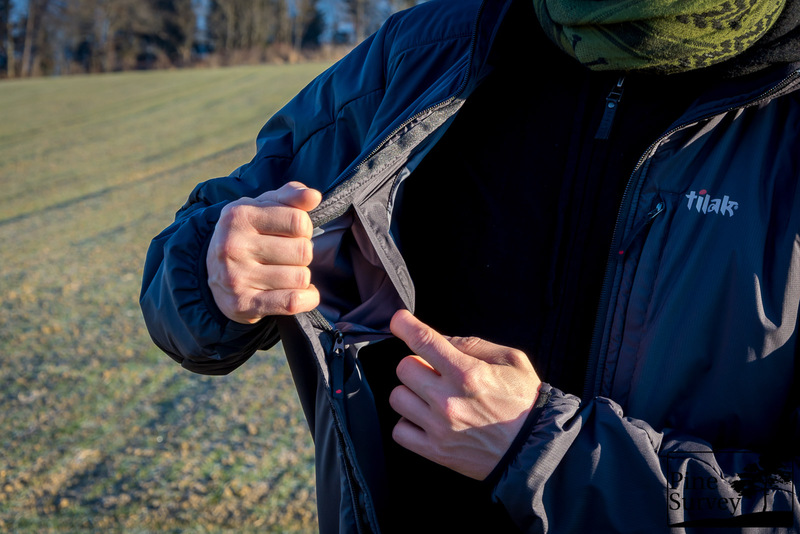 Let us take a closer look at other design features of the jacket: For instance you can find Windstopper soft shell material on the sides, going all the way up to the armpits from the waist. On the inside the fabric features a light fleece material, while the outside is the sturdy softshell type feel, which most of us know. 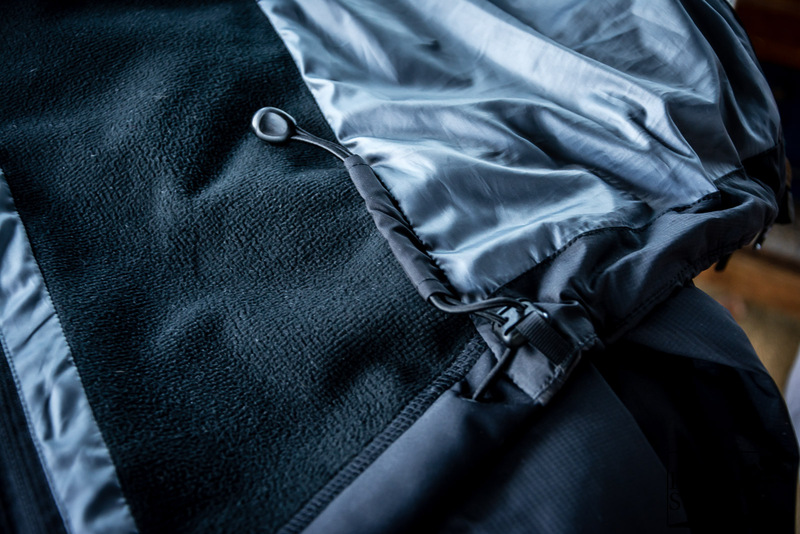 That way you have the warm insulation of the Polartec Alpha fabric on the front and back and a lighter insulation on the sides, resulting in a balanced body climate while on the move. The sleeves are anatomically cut and feature elastic cuffs. There is a waist adjustment with draw cords and cord locks, which are located at the inner side. 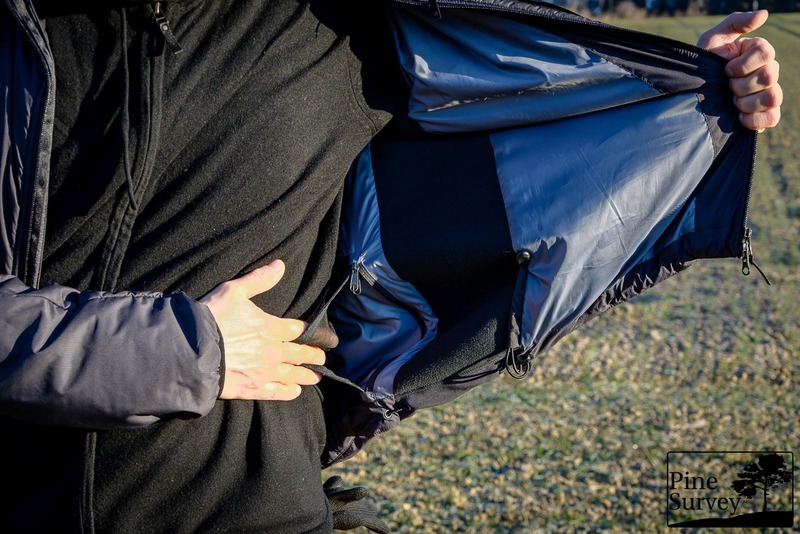 It is designed in such a way, that you can (1) choose if you either tighten the front- or the backside, as well as both; and (2) store away the excess cord on the inside of the jacket – keeping it from flapping around. As already mentioned in the Overview, the jacket has an elastic mesh pocket on the inner backside. It’s primary use is to stuff the jacket invertedly in itself, in order to pack it more easily. 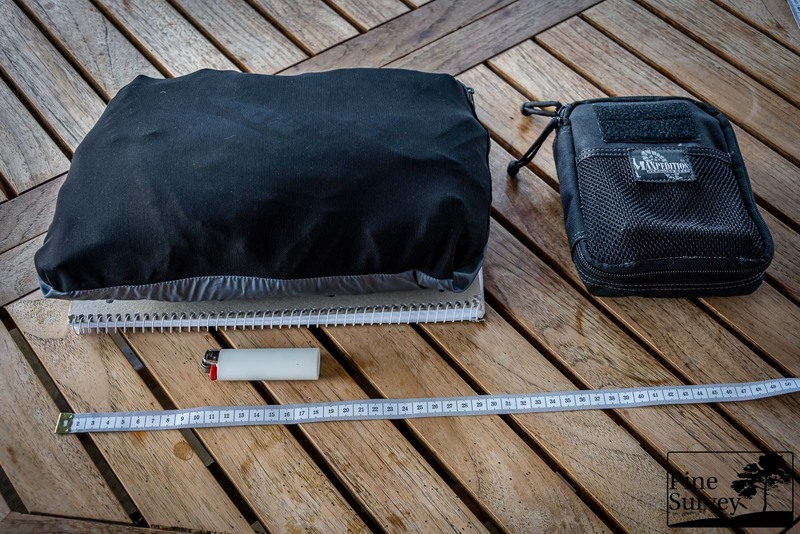 In doing so, you are able to compress/pack the jacket to an A4 sized base, making it easy to transport in a backpack etc. Of course you can also use it as an internal poacher’s pocket. Last but not least two more details: The Jacket features a loop to hang it up (always nice to have and surprisingly a vanishing feature in jackets). Also the collar is additionally lined with a suede like fabric, which gives it a very nice and instantly warm touch – always a comfortable feature, especially in the cold season. The workmanship of the jacket is excellent as expected. The people from Tilak proud themselves with their workmanship, which is solely done in the Czech Republic and their reference to the “golden Czech hands” is well earned. The seams are neat and tidy and count 5 stitches per cm, resulting in a long service life and reliability. There were no loose threads or negative things to report. The choice of materials only lists quality products of leading companies. So it is safe to say that no shortcuts have been taken. I am 180cm tall, with ca. 80kg at the time the pictures were taken. Normally I am always between sizes because of my shoulders and long arms, but the jackets of Tilak fit me perfectly. All the military and outdoor jackets are sized anatomically so if you are in between sizes, go with the larger one. With the Verso jacket (as well as with the Loke) size Large fits me perfectly and has still enough room for layers. The Verso jacket surprised me with its light weight. As mentioned before, I am usually wearing wool or fleece jackets in winter time – so I am used to carrying heavier layers. 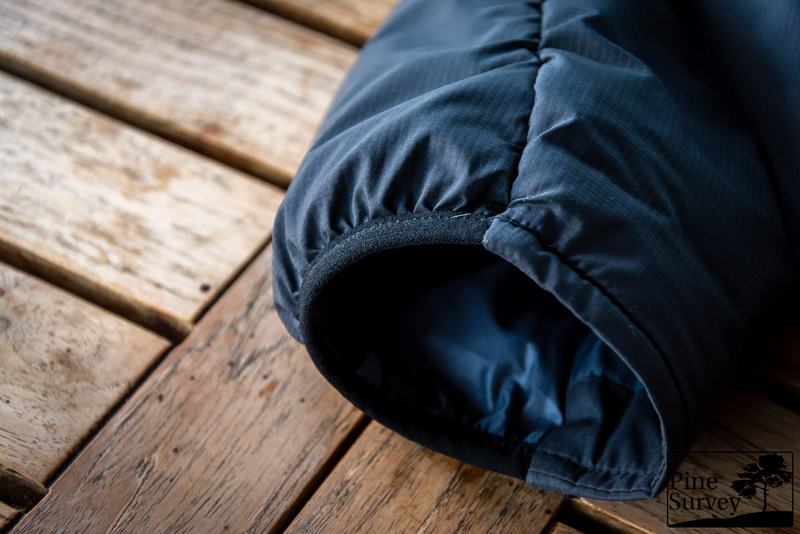 These heavier jackets sometimes also result in heat accumulation, especially when moving uphill, or at higher speeds. 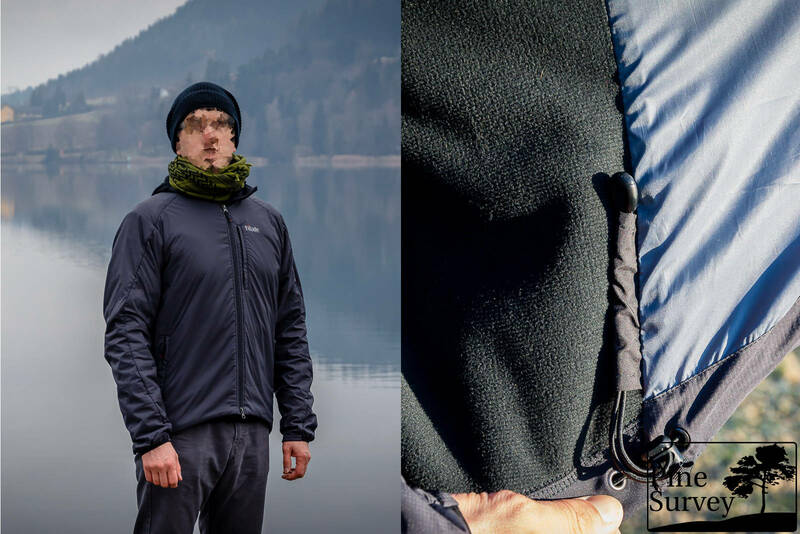 So I was very sceptical at first as the Verso jacket not only is very lightweight, but also offers quite the breathability. Honestly it was so good, that the heat accumulations (which I am so used to by now) did not appear, and made me (wrongly!) believe, that the jacket is too cold and not offering enough insulation. But then I realized how well balanced my body climate was, that I was not freezing and actually quite comfortable. 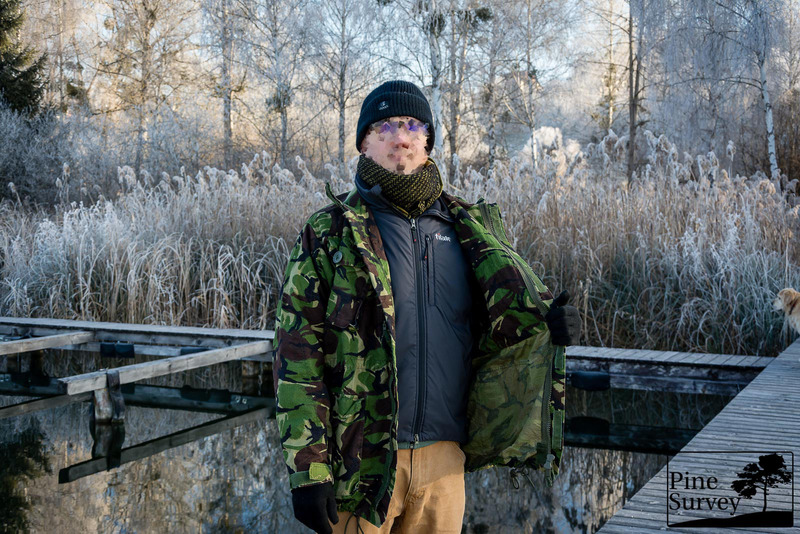 So far I have used the jacket in temperatures ranging from 4°C to -5°C, always with the Verso jacket as an outer layer. 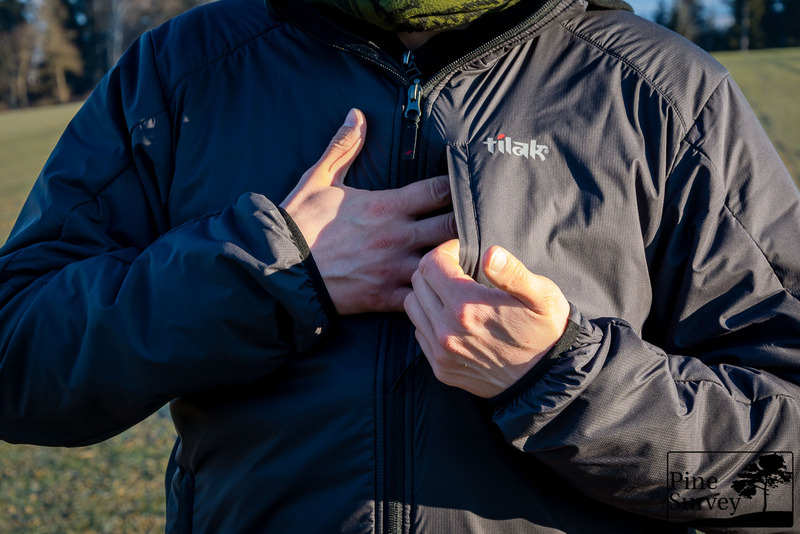 Since perception of temperatures, heat and cold are very subjective, I will spare you the other layers – but it is safe to say, that I am more used to heat than to cold and always felt very comfy in the jacket. 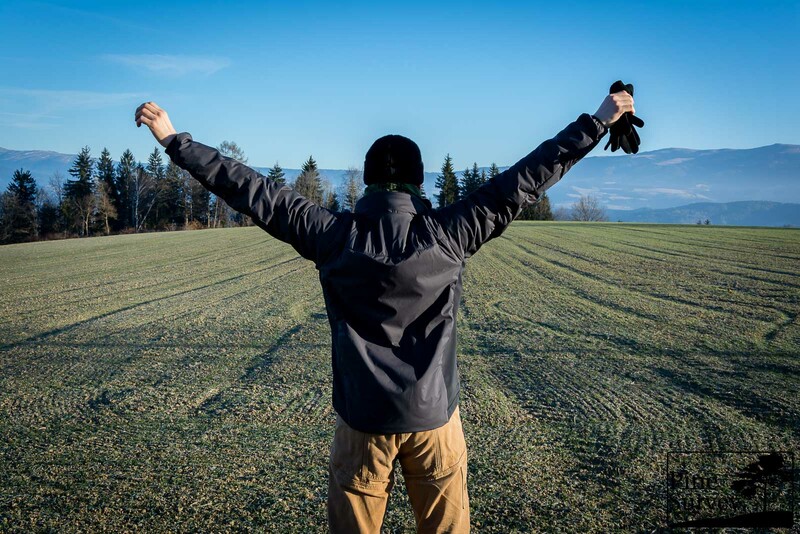 Another anecdote to breathability: When receiving the jacket I took it for a quick 5 km hike with my brother. We had an altitude difference of 90m at one part of the way (climbing a steep hill). We did a very fast ascend on that hill and I was surprised how good the breathability of the jacket is. While being out of breath and feeling my legs, there was no heat accumulation, no sweating while staying warm all of the time. In Combination with my Tilak Loke jacket. In Combination with a standard british military Smock. Tilak Verso in combination with a BDU top. In all cases the Verso jacket was comfortable to wear underneath and proofed to be an excellent layer. Being a guy who normally sticks to natural fabrics (Cotton, Merino etc.) if possible (and fleece if unavoidable) it was an eye opener for me personally what different fabrics are able to do. In my search for a midlayer jacket, that also functions as stand-alone jacket, the Tilak Verso is definitely an option worth looking at. High quality materials, outstanding and European (!) production as well as thought through designs are very convincing in this one. 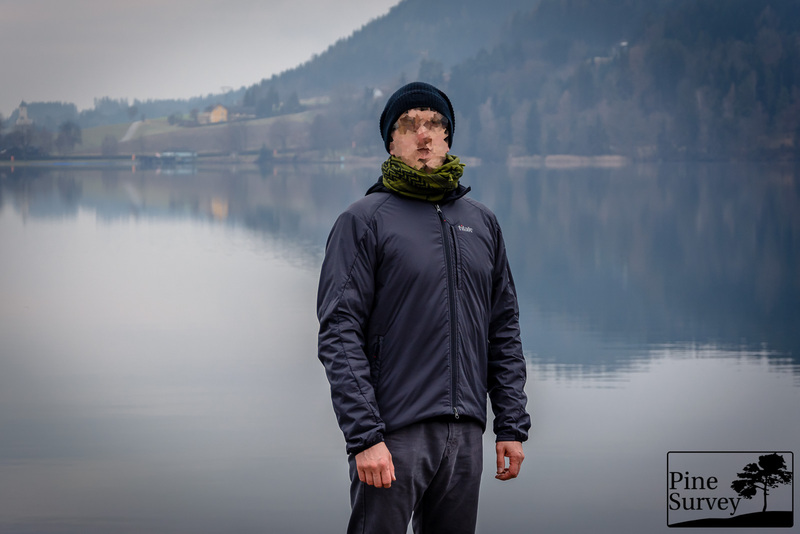 The highly packable characteristics make the jacket appealing especially for hiking and trekking, but even in the windy city jungle of Vienna it proofed to be a loyal companion. For me personally I found a decent way to wear my Loke jacket 4 seasons of the year now, and judging from the catalogue, this sure won’t be the last item from Tilak finding its way to me. With that being said, I hope I could give you another interesting read. Thank you, and until next time!